Friends and animal lovers! 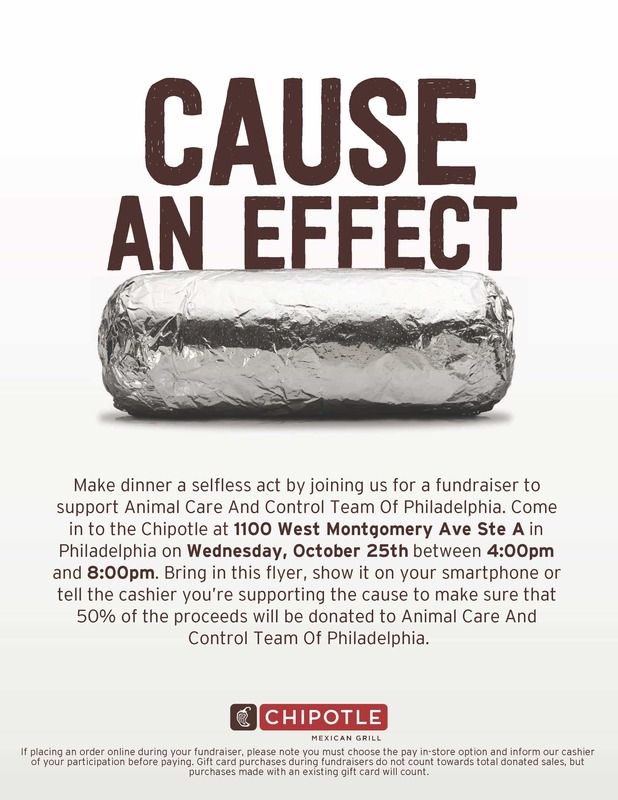 Here is a super easy way to help homeless pets – simply eat at Chipotle on 1100 W Montgomery Ave on 10/25 between 4 p.m. – 8 p.m. and tell the cashier you are supporting ACCT Philly. Half of the proceeds will be donated to the shelter! Easy peasy. Please share the flyer to spread the word!